Inshore the fishing has been great around the spoil islands and around the docks top water plugs and live bait has produced the best. The reds have been around to the north around Harbor Branch to Vero Shores soft baits and live shrimp have produced the best. The channel ledges have some nice snapper around live shrimp and white baits have produced well. 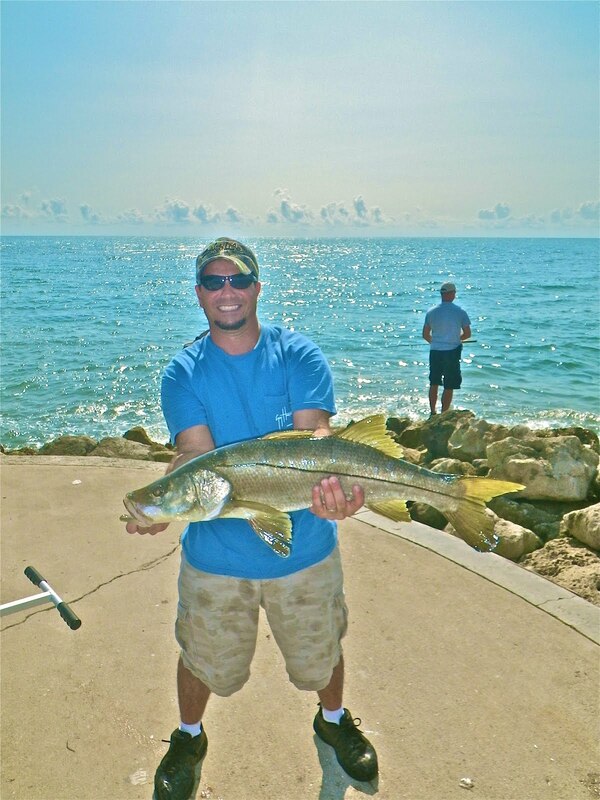 The south jetty in Ft. pierce has been good with a few nice snook and some flounder around with a few Bluefish around to.